Situated in the business district, this hotel is 1.3 mi (2 km) from Westchester's Ridge Hill and 2.9 mi (4.7 km) from Empire City Casino. Legoland Discovery Center Westchester and Hudson River Museum are also within 3 mi (5 km). 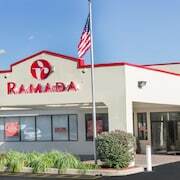 Situated in Yonkers, this hotel is 1.3 mi (2.1 km) from Westchester's Ridge Hill and 2.9 mi (4.7 km) from Empire City Casino. Legoland Discovery Center Westchester and Hudson River Museum are also within 3 mi (5 km). Located in the heart of Yonkers, this hotel is within 1 mi (2 km) of Sarah Lawrence College, Empire City Casino, and Yonkers Raceway. Van Cortlandt Park is 1.9 mi (3.1 km) away. 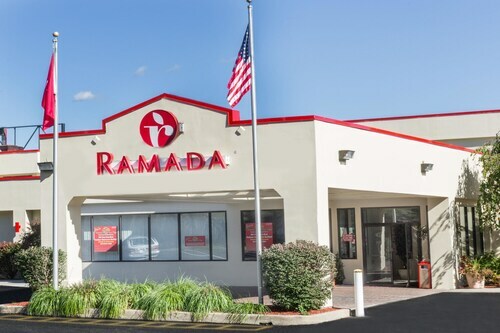 Situated in Yonkers, this hotel is 1.1 mi (1.8 km) from Westchester's Ridge Hill and within 3 mi (5 km) of Empire City Casino and Yonkers Raceway. Legoland Discovery Center Westchester and Sarah Lawrence College are also within 2 mi (3 km). 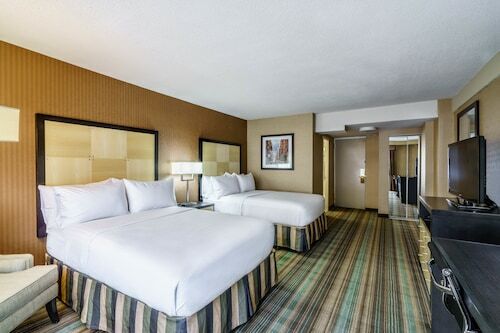 Easily travel to the glamour and bustle of New York City, then retreat to the peaceful luxury of our hotel in the quiet setting of Yonkers, NY. 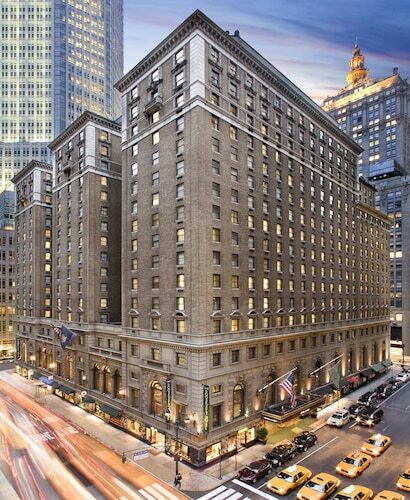 Elegant design & amenities of an NYC hotel with economical rates. How Much is a Hotel Room in Yonkers? Hotels in Yonkers start at $102 per night. Prices and availability subject to change. Additional terms may apply. Located a mere 12 miles from the center of Manhattan, Yonkers, New York, may be known as a suburb of New York City, but the city itself is a worthy destination. It boasts wonderful green spaces, an array of solid museums, great food, and a myriad of entertainment options. 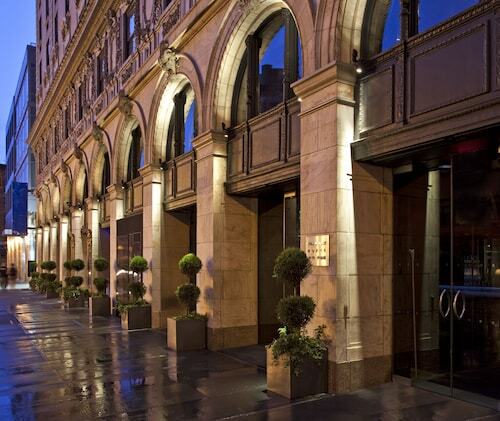 On top of that, nice hotels in Yonkers NY ensure you'll be cozy during your stay. Start your trip with a tour of the impressive Hudson River Museum, where you can view local art, learn about regional history, and attend a planetarium show. After that, make your way to the Philipse Manor Hall State Historic Site—a historic mansion boasting stunning Georgian architecture. Then, head to Tibbetts Brook Park for a breath of fresh air; this 161-acre park features a mammoth pool, woodlands, lakes, and open grassland. Once you feel rejuvenated, feel free to go test your luck at the Yonkers Raceway. 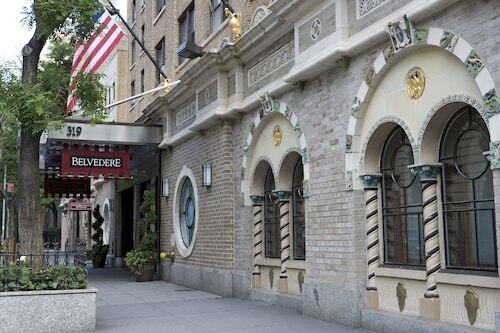 Hopefully you win big, and can splurge on dinner at one of the fancier Yonkers hotels. If you don't win, though, don't stress, as there are also plenty of cheap hotels in Yonkers NY and plenty of budget flights to New York. No matter what, with so much to do in this city, you're going to have a blast. Coming to Yonkers and not enjoying hot dogs, pizza, and Italian fare would be a huge mistake. You'll find some of the best eateries in town along Saw Mill River Road, and there is also a collection of restaurants and pubs located right in Getty Square, which is near the heart of downtown. Go out and enjoy yourself. Are you ready to let the awesome scene in Yonkers win you over? Travelocity is your site to find the best prices on packages to Yonkers. If you find anything cheaper, we'll match the price and refund you the difference—that's the Travelocity Price Guarantee.